I have lived in southeastern Connecticut my entire life. I grew up in Mystic, went to school in Stonington, and went to college at UCONN. I got married here, bought a home here, raised my family here. Even when I travel for business or pleasure, I am always happy to come back here. Home is where your heart is. Here is HOME. In 1997 I became a Realtor®!! I was already an expert on this area, so I started working on becoming an expert in my field. Since then, I have become an ABR® (Accredited Buyer Representative), SRS® (Seller Representative Specialist), GRI® (a Graduate of the Real Estate Institute), RENE® (Real Estate Negotiation Expert)and a GREEN® (environmental) designee. I have been on tons of committees at my local and state level (including board President), and have even been on several national committees. I was the Eastern Connecticut Association of Realtors Realtor® of the Year and Community Service Volunteer of the Year in 2010. I was again the Community Service Volunteer of the Year in 2017!! I have been nominated for State Realtor®of the Year four times! I am licensed to sell Real Estate in Connecticut & Rhode Island. When I’m not busy with Real Estate, I am involved in Rotary, Habitat for Humanity, United Way, and Girl Scouts. I LOVE music and camping. I have 4 beautiful grandchildren! In today’s real estate market, you need to work with a Realtor® you can trust. I am dedicated to providing the finest service and expertise possible for my clients. Whether you are buying or selling your primary residence, a second home, or relocating to a new neighborhood, I can help make your home ownership dreams come true. 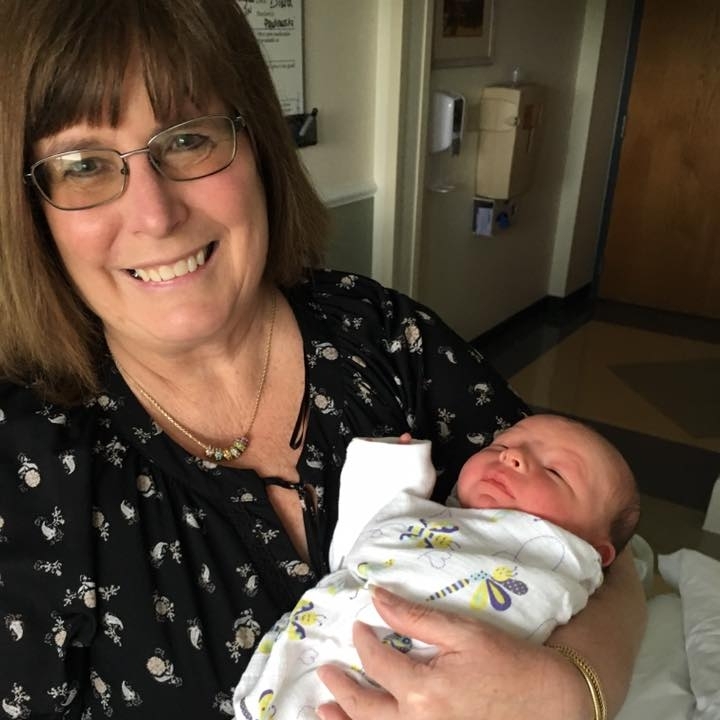 Me and my newest grandson Lincoln!